This case concerned two Swedish nationals with 2 children. They were married and together for 20 years including 6 years of cohabitation before marriage. The husband was wealthy and the wife was a homemaker. The total assets were £10.86 million. The wife issued proceedings in the UK in 2016, prior to the husband issuing in Sweden. The parties had entered 3 different pre-nuptial agreements within the 6 month period ahead of the marriage. These were the `Niagara agreement’, the` Gothenburg Agreement’ and the ‘Ohio agreement’. Each agreement provided that the parties would retain independently obtained property prior to and during the marriage, that there would be no maintenance on separation and also stated that Stockholm would have exclusive jurisdiction to resolve disputes arising from separation (the prorogation clause). The wife argued the agreements should not be upheld due to misrepresentation by husband that they would not be implemented, and of unfairness. Article 4 of the Maintenance Regulation (EC 4/2009) provides that parties can agreement that a particular member state or court shall have jurisdiction to settle matters in dispute regarding maintenance. At first instance the Judge, Francis J, held that 3 agreements were valid, and the prorogation clause was valid within Article 4, so he had no ability to make orders under the Matrimonial Causes Act 1973. He stated the court therefore only had jurisdiction to deal with property arising out of the relationship. He stated he had to stay maintenance claims and they would need to be determined in Sweden. He attempted to try and make up the shortfall in the wife and children’s needs by making orders under s17 Married Women’s property Act 1882 and Schedule 1 of the Children Act 1989, settling the property on the children until the end of tertiary education, and also an annual carer’s allowance to wife of £95,000. 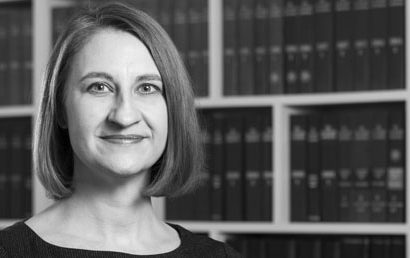 The wife appealed on 2 grounds arguing that there was no valid prorogation clause, and the Judge was wrong to restrict his discretion in applying the s25(2) MCA 1973 factors after he had found there was a valid, yet unfair, prenuptial agreement. The Court of Appeal allowed the appeal on both grounds. The prorogation clause, specifically the one in the Ohio agreement was invalid as it wasn’t complete or clear enough to meet Article 4 requirements. It didn’t specifically mention maintenance. The Judge was also wrong in concluding he was constrained only to make an order regarding needs. The existence of a pre-nuptial agreement is just one of the factors to balance. Even if a pre-nuptial agreement is effective, the court is still obliged to consider all of the s25(2) of the Matrimonial Causes Act factors. Whilst considering those factors, there’s nothing to prevent parties mutually contracting out of sharing, so the court should only use its discretion to interfere with the pre-nuptial agreement terms in so far as it’s necessary to provide for the needs of the wife and children. Careful drafting of pre-nuptial agreements and specifically prorogation clauses is essential. We are able to provide advice on all types of financial remedy proceedings. Please contact our Patricia Beckett at p.beckett@wilsonllp.co.uk for more details, or to arrange for an appointment with any of our team, please call Mavis on 020 8885 7986.